Why would I want to publish someone else? Am I not enough? A guest blogger is exactly what it sounds like: it’s someone who’s not you, publishing something on your blog — simple as that. A counterpoint. Perhaps your blog is topical, or you’ve had a series of posts on a particular issue. A guest blogger can offer a counterpoint that deepens the discussion and stimulates more conversation (and your own thinking). Expertise and perspective. On a related note, guest bloggers can bring in expertise and perspective that fill in your gaps, like a post on the mechanics of yeast on your amateur baking blog, or one on traveling with small children on your budget travel site. Inviting a voice to add new details is a service to your readership. Inspiration. A guest blogger who’s achieved something you aspire to is motivating for you and your readers; someone who’s published several books could be a great coach on your writing blog. A fun new voice. Guest bloggers don’t need to be “experts” — a guest can simply be someone whose work you enjoy. Introduce your readers to a new voice they’ll love. More readers and traffic for you. Your guest blogger will likely tell his or her readers about your site; a personal recommendation from a trusted blogger can do wonders for your readership and traffic. Guest blogging is a fantastic mutual growth opportunity. Increased conversation. When you introduce a new point of view, your naturally stimulate conversation. Plus, visitors who followed your guest over will likely enter the fray. SEO benefits. You already have great SEO on WordPress.com, and more inbound links makes it even better. If your guest links to you on his or her blog or a few new readers add you to their blogrolls, your overall visibility gets a boost. Positioning. If you write a topical blog, you’d probably love to establish yourself as a go-to site for people interested in your subject. Making your blog a resource for information is one way to do that. Inviting guest bloggers who have good advice and info turns your blog into a one-stop shop. Your favorite blogger to read. A frequent commenter on your blog, especially one who pushes back and makes you think. Someone who complements what you offer with a different but related perspective. A blogger you almost never agree with — point/counterpoint! Someone you often write about, like a friend, significant other, or older child. I really love your blog, and would love to feature you on mine and introduce my readers to you! Would you be interested in guest posting on my site? I admire what you have to say about X, and think we could build some really interesting conversation. What do you think about a post about Y, to publish in Z days/weeks or so? Let me know if you have any questions! 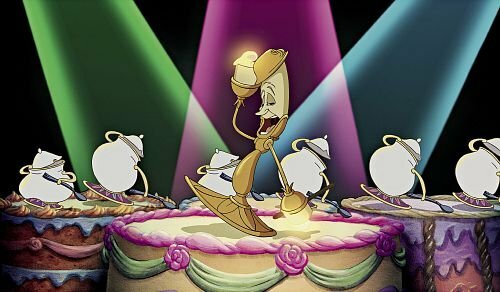 Once you invite someone, you need to become the dancing candlestick — help them feel welcome and make the experience a success. The date you’d like to publish. The length, if it’s not open. Whether they will cross-post the same content on their blog, and how you’ll be mentioned there. Whether they’ll respond to comments on your blog. Whether the post will include photos, whose, and how to attribute them. Any style issues you’d like them to observe — no foul language, no real names, no sales pitches or affiliate links, etc. Revenue sharing, if you use AdWords. Do they get a cut? Guest blogging on personal sites is most often an informal, friendly arrangement — this isn’t meant to suggest that you need a notarized contract, simply that it can be useful to chat about the relationship so you both feel comfortable and confident. When you ask for a guest blog, you must post it. Post it good! How will you post it? You can either paste their text into a post and publish it yourself, being sure to credit them, or add them to your blog as a user and let them publish themselves. If the latter, you’ll want to add them as an Author or Editor. How will they post it? If your guest plans to cross-publish the post to their site, how will they do it — as a separate new post, or a reblog? Or will they simply link to your site? Once the post is live, spread the word of your stellar partnership! If you both use Twitter, be sure to use their Twitter handle when you promote the post. If you’re friends on Facebook or Google+, tag them in your post. Ask them to do the same. Twice the social network means twice the love, twice the readership, and, hopefully, twice the conversation. Next week, we’ll explore ways to create guest blogging opportunities for yourself — although once you start creating relationships with other bloggers, it’ll probably come naturally — and what to consider as the person providing the content. If you’ve invited guest bloggers to your site, we’d love to hear about the experience! I’ve been a guest blogger a few times and really enjoyed it. I need to think about inviting someone else to come over and play at my place. Hmm. Food for thought. I should add that I’ve written drafts on my blog and sent the hosting blog a feedback link so they could copy and paste. It worked well, but they did have to manually add any hyperlinks and photos. I don’t use a ton of those, so it wasn’t a big deal. We have also found that a reblog on the writer’s site brought more viewers than simply a post with a link to the guest post. Hope that is useful information for someone. I have always wondered about the reblog vs. link question. That’s good to know! During the month of October I was spending time with my granddaughters. I didn’t want my blog to suffer so I lined up three great guest bloggers for my blog. I can’t say enough about how well this worked out for me, my blog and hopefully my guests as well. Good to see such an informative post promoting this concept with so many great ideas on how to do it well. I interview writers and illustrators too – that helps their reach to new people as well as shows others I’m all about sharing and helping. I love my guest blogger (Steve Safran). He’s hilarious, and has a knack for sending me entries at the perfect time– and about topics that I know nothing. His Love Letter to Baseball before the Sox won the World Series was simply wonderful. And our little back and forth theology duet was Freshly Pressed! Thanks for sharing the article, great ideas! I must admit that I rarely take time to comment on other people’s blogs, not for the lack of interest but my busy schedule. I will make an effort to improve that, and thus increase the traffic to my blog. I’ve seen guest bloggers on other sites and often wondered how I could guest blog on someone else’s. This is a great idea! I recently started up a Guest Writers feature on my blog, (http://unclespikes.wordpress.com) and is proving very popular, both with readers are guests I have ‘lined up’. It’s just a chance for me to say ‘thanks’ to those followers who regularly support me and who’s own blogs I admire. “Blogging isn’t just about publishing. It’s about sharing, commenting, and connecting. No its not, I have posted on other peoples blogs, I have only met 4 at the most real genuine bloggers who have returned the favour and commented on my blog. What I have come across are selfish, self centred people who are happy that they are being given praise but cannot be arsed returning the complement. I have had interference and accusation from someone who thought they are a member of WordPress staff, who basically told me that I was not welcome in the community because I self host and not have my blog on WordPress servers, they were wrong about that big time, did they apologise, did they hell. Come on pete! Don’t just close, have it till the end. Sounds like a great idea and I’ll give it a go in the near future. This is so true. I enjoy all my fellow bloggers. I love when people give me feedback on my blogs or when they express their thoughts and feelings in their comments. That’s what blogging is about. True haha I didn’t get to finish my comment, but this post is really helpful! Thank you! My guest bloggers must agree to random drug screenings, and they must also take a standardized aptitude test before they qualify. There is also a filing fee for application paperwork. But, a limo service is provided for them, and also a carb-heavy breakfast buffet in the La Quinta lobby at 6am sharp on the day of their performance. I’m just kidding! No I’m not. Can the breakfast be served at….10am instead? I don’t creep out of my cave any earlier than that…. Can you make it to lunchtime on nutra-sweetener, syrup, and jelly packets? Throw in a juice pouch and you got a deal! depends on what you had for breakfast I guess. I’ll bet you didn’t know that Capri Sun is free squeezed from real Capris! I’ll bet you didn’t know that I had to Google ‘Burro’! I’ll bet you didn’t know that capybara’s consume their own waste! How timely! I just added an additional writer to my site and hope it turns into a regular posting gig. Hard to find people wanting to join a gardening blog – any takers? Thank you for this post! Great ideas and information! Hopefully sometime in the future I will be able to do this as well! Great post! I am always thinking of having guest post but not sure how it really can fit into my blog. Now I am enlightened! I am new to the site, and I hope to have some guest bloggers. I am very excited about this! I have had a number of guest posts and I have created a page telling people what I will post. It is fun and I get to meet interesting people.